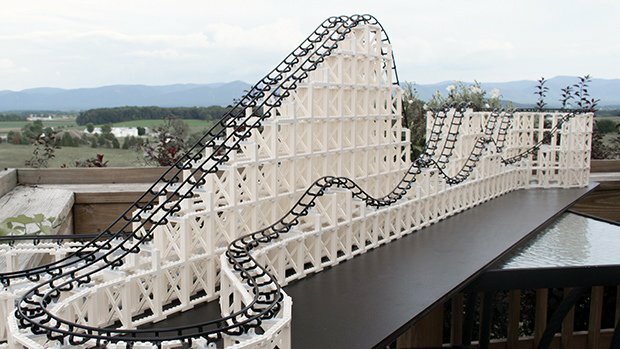 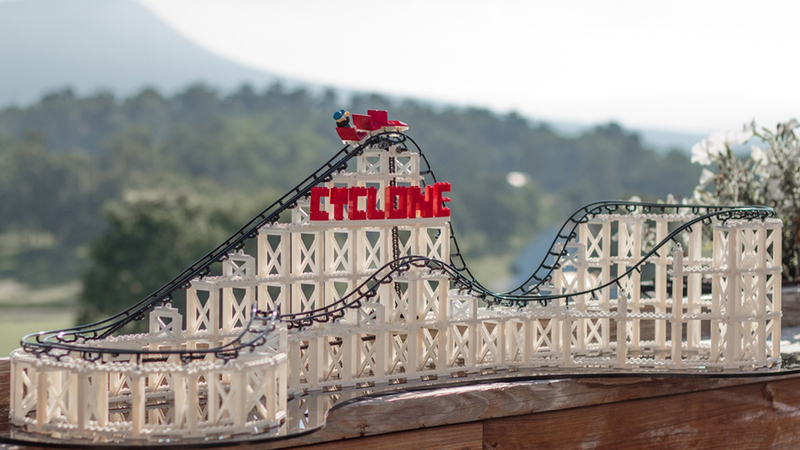 CoasterDynamix’s Cyclone is a modular and LEGO-compatible kit for making roller coaster models. 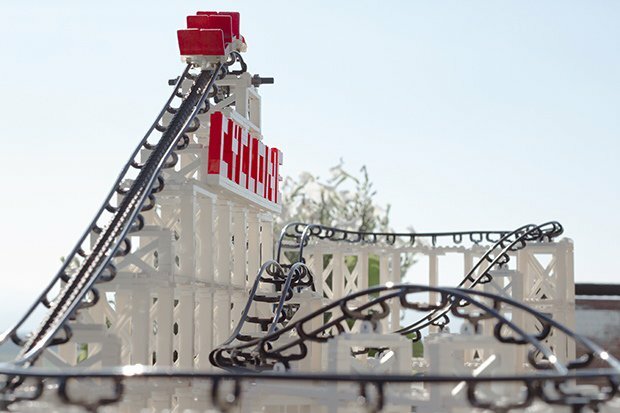 It comes with everything you need, including a train, lift chain and gears. 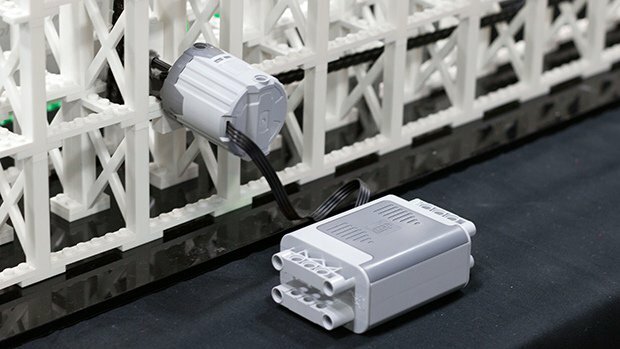 By default it’s powered with a hand crank, but you can also use a LEGO Power Functions motor.